Description: Study vocabulary funnily and happily in beautiful flashcards. 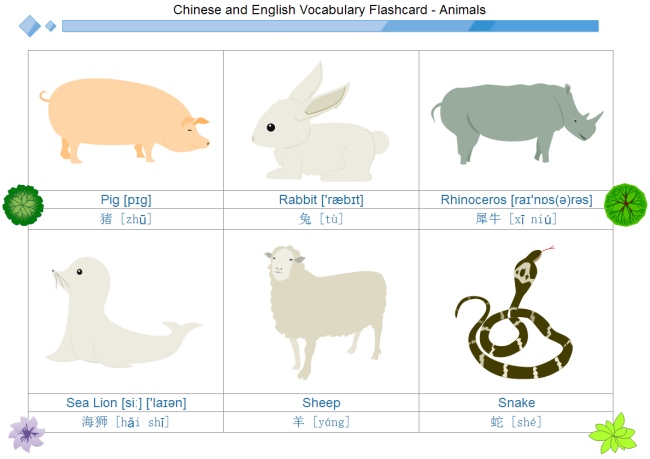 Presented here is an editable flash card about animal words. You can learn to design more flash cards.